PICATINNY ARSENAL, N.J. -- This month, U.S. Soldiers in Afghanistan received 120mm GPS-guided mortar precision capability. The Program Executive Office for Ammunition fielded Accelerated Precision Mortar Initiative cartridges, or APMI, to one Infantry Brigade Combat Team, or IBCT, earlier this month, and is scheduled to field cartridges to the seven other IBCTs in Afghanistan within six months. "APMI is a 120mm GPS-guided mortar cartridge that provides the infantry commander precision-strike capability, which he has never had before," said Peter Burke, PEO Ammunition's deputy product manager, Guided Precision Munitions and Mortar Systems. Mortars are an indirect firing capability used to defeat enemy troops, materiel, bunkers and other infantry-type targets. The APMI cartridge has a requirement of 10 meters CEP, or Circular Error Probable, but Burke said the program is exceeding this requirement. Ten meters CEP means that if you drew a circle around a target at 10 meters radius, the rounds have to fall inside the circle 50 percent of the time. Current CEP for 120 mm mortars at their maximum range is 136 meters. Mortars with the most advanced features, such as precision position and pointing systems, can achieve a 76 meter CEP, which still makes APMI seven times more accurate than any formerly fielded mortar. While APMI will not replace standard 120mm mortars, its accuracy will allow a commander the ability to defeat a target with precision if there is danger of collateral damage, Burke explained. Insurgents deliberately plan attacks in populated areas in the hope that opposing forces don't want to retaliate and risk accidental harm to civilians or damage to non-military property. "Sometimes, if the risk of collateral damage is too high, you might not be able to fire (a standard 120mm) at all," Burke said of enemy engagements. "In that case, instead of firing a mortar from a protected position, you would have to send troops in to engage with direct-fire weapons, exposing them to more risk. "But because of APMI's GPS-technology, which provides an accurate, first-round fire-for-effect capability, troops will have opportunities to employ APMI's precision where they previously would not, such as nearer to friendly forces or in urban areas. Besides reducing risk to the local population and keeping U.S. servicemembers out of harm's way, APMI reduces the logistical burden of ammunition resupply. A mortar unit typically carries 25 High-Explosive, or HE, rounds with them, Burke said, and they will now carry a mixture of standard and APMI rounds. Instead of firing large quantities of HE rounds, troops can fire one or two APMI and eliminate the target, so their resupply needs should be reduced. 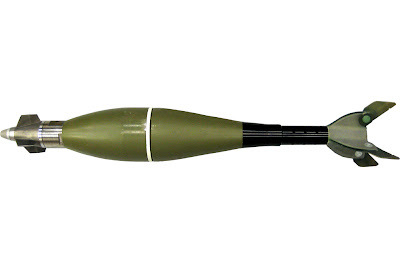 The APMI XM395, cartridge uses a standard M934 high-explosive 120mm projectile body. In the nose, a GPS receiver and computer controlled aerodynamic directional fins keep the round on its programmed trajectory. Folding fins in the tail provide stability. APMI also has a multi-functional fuse, which allows the round to be programmed to explode in the air, once it hits a hard surface or after it penetrates inside a target. Earlier PEO Ammunition program investments contributed to APMI's development by providing technological building blocks and by paving inroads, including the 155mm Excalibur round and the Precision Guidance Kit, referred to as PGK. PGK is a low-cost, GPS-guided fuse kit that improves the accuracy of existing 155mm artillery rounds. The Armament Research Development and Engineering Center, or ARDEC, co-located here, develops advanced fire control systems that help mortar operators improve the speed of their operations and the accuracy of their fires. 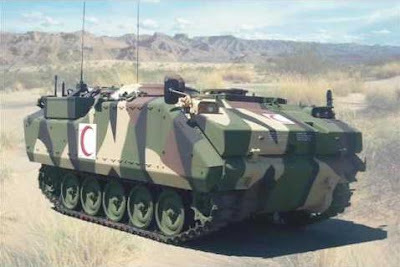 These include the Lightweight Hand-held Mortar Ballistic Computer and the Dismounted 120mm Mortar Fire Control System, which were modified for the APMI fielding to ensure mortar operations remain streamlined. "There were many difficult technological hurdles we crossed previously during our development of digital fire control systems requiring interface with smart projectiles that culminated in the APMI," said Patti Alameda competency manager, of ARDEC's Mortar and Common Fire Control Systems Division. "The ability of people to work as a team and integrate all of the sophisticated technology in a way that reduces the burden on the Soldier is really how we achieve this leap forward in capability. "The APMI cartridge is fired from the M120 mortar system, which is compatible with the M326 Mortar Stowage Kit. Also developed at ARDEC, M326 Mortar Stowage Kits are now in full scale production and will be fielded to IBCTs over the next several years. As of right now, Burke said there is no requirement for precision capability for 81mm and 60mm mortars. The Army's requirements for larger caliber precision munitions allow technology to be more easily adapted to these larger rounds, he said. "The 120 gives you a lot more room to work with," Burke said. "To fit all the electronics into smaller cartridges, with today's technology, is not feasible. They started with the biggest size to give us the most room to work with. Plus, you're getting the lethality of a 120, which is leaps and bounds above what a 60mm HE round can do." Banda Aceh, Pangkalan TNI Angkatan Laut (Lanal) Simuelue, Provinsi Aceh, yang bertugas menjaga keutuhan wilayah Indonesia paling ujung barat itu akan diresmikan pada 28 April 2011. Anggota DPRK Simeulue Rahmad, SH saat dihubungi di Sinabang, Rabu, menyatakan, kepastian peresmian Lanal Sabang itu setelah sejumlah perwira tinggi menengah TNI AL berkunjung ke wilayah kepulauan itu pada hari ini. Acara temu ramah berlangsung di aula pendopo Simeulue yang dipimpin Bupati Simeulue Drs. Darmili. Rahmad yang juga Ketua Partai Pemuda Indonesia (PPI) Kabupaten Simeulue itu menyatakan, tujuan mereka datang ke daerah itu antara lain memaparkan rencana peresmian Lanal Simeulue sekaligus mohon doa restu kepada pemerintah serta tokoh masyarakat setempat. Perwira yang datang ke Simeulue itu Asops Lantamal Satu Belawan, Kolonel Laut Tri Satria, Kadisbek Lantamal Letkol Laut Soeharto, Kadisfaslan Lantamal Letkol Laut M. Situmorang, Kadiskes Mayor Laut dr. Haposan. Setelah acara dilanjutkan acara turun ke lapangan juga mengunjungi Pos Angkatan Laut setempat yang dikomandani Lettu Laut Budi Derajat. Adapun Lanal Simeulue direncanakan di Desa Lugu, Kota Sinabang. Posisinya dalam kawasan Teluk Sinabang. Pulau Simeulue terletak di sebelah barat perairan Aceh, lebih kurang 150 Km dari lepas pantai Sumatera, luasnya mencapai 2.310 kilometer persegi. Kira-kira 2/3 pulau ini masih dipenuhi hutan lebat, karenanya ia dikenal sebagai penghasil kayu dan rotan. Alam Simeulue memiliki potensi wisata yang besar karena kemolekannya. Gelombang yang tinggi sering dimanfaatkan oleh para pelancong dari mancanegara. Demikian juga pantainya menjanjikan kepuasan bagi setiap pengunjung. Semenjak dimekarkan pada tahun 2002, kabupaten pengekspor lobster (udang laut yang besar) ini terdiri dari delapan kecamatan, yaitu Simeulue Timur, Simeulue Barat, Teupa Selatan, Simeulue Tengah, Salang, Alafan, Teupa Barat dan Teluk Dalam. Simeulue dikenal sebagai penghasil cengkeh, kopra dan minyak kelapa. Potensi hutan juga sangat menggiurkan, kayu dan rotan diekspor ke luar dalam jumlah besar. Eyeing to expand in new markets, Turkish defense industry focuses on Indonesia and Malaysia. FNSS, a producer largely owned by Turkish company Nurol, is to sell armored vehicles worth between $300 million and $400 million to the Indonesian Army initially as part of a broader industry relation. The military electronics firm Aselsan also is planned to cooperate with the Asian country on wireless devices and other electronic equipment. 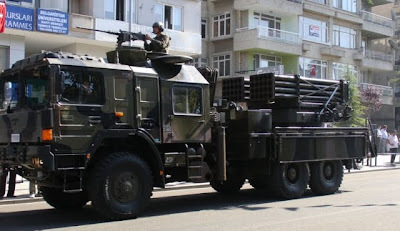 In an effort to cement its position as a major exporter of armored vehicles and other defense equipment, Turkey has chosen the southeastern Asian nations of Indonesia and Malaysia as two key target countries. Shortly before a planned visit by President Abdullah Gül to Indonesia in early April, senior Turkish procurement officials in mid-March secured a number of defense industry deals, for which official cooperation agreements are scheduled to be signed during the visit. 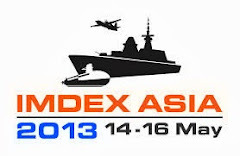 “Indonesia and Malaysia are two countries with which we really want and hope to greatly boost our defense industry relations,” said a senior procurement official. 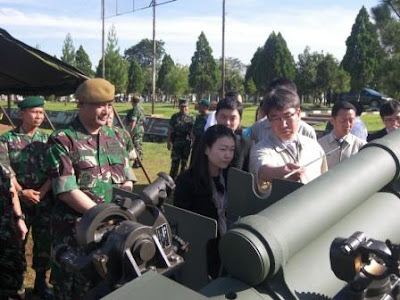 A first cooperation package with Indonesia is expected to cover the sale and joint production of armored vehicles, wireless devices and rockets. The value of this first package would be between $300 million and $400 million, the Turkish procurement official said. The Ankara-based armored vehicle manufacturer FNSS, a joint venture between Turkey's Nurol Holding and BAE, is expected to provide the Indonesian Army with tracked armored combat vehicles. FNSS' majority shares belong to Nurol. Aselsan, a top military electronics company and Turkey's largest defense firm, is planned to cooperate with Indonesia on wireless devices and other electronic equipment. 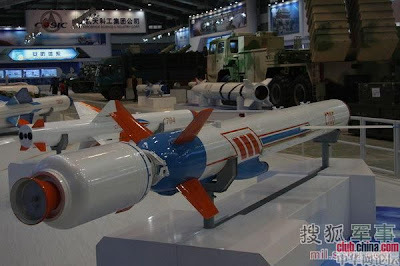 Roketsan, Turkey's top company specializing in rockets and missiles, is expected to sell rockets to Indonesia. "After this first cooperation package, a second package is envisioned, and it may cover joint production of naval vessels and the modernization of Indonesia's [older] F-16 fighter aircraft by our TAI [Turkish Aerospace Industries]," said the Turkish procurement official. TAI, which in the 1990s assembled more than 200 F-16s for the Turkish Air Force, in recent years has modernized or is modernizing Jordan's and Pakistan's older F-16s with the permission of Lockheed Martin, the aircraft's original maker. TAI also is contributing to the production of the U.S.-led F-35. With Malaysia, FNSS signed the largest single Turkish export deal in history, during a visit of Malaysian Prime Minister Datuk Seri Najib Tun Razak to Ankara in late February. FNSS signed the $600 million export agreement with Malaysia's Deftech for the design, development, production and logistical support of 257 Pars 8x8 wheeled armored combat vehicles for the Malaysian armed forces. FNSS earlier sold tracked armored vehicles to Malaysia. "We have a solid cooperation base with Malaysia. In the near future, we plan to work on naval vessels and some other defense equipment with that country," the Turkish procurement official said. "Turkey, Indonesia and Malaysia are all predominantly Muslim countries, but religion does not play a role in Turkish efforts for arms sales to those nations," said one defense analyst based here. Separately, Turkey also seeks to modernize the older F-16s of Thailand, another South Asian country. Turkey's defense industry exports greatly have improved in recent years, up from only some $250 million a year five years ago. The SSM is eyeing the export of defense equipment worth nearly $1.5 billion this year, up from $832 million in 2009. The 2010 figure has not been announced yet. The Navy needs to buy second-hand German submarines as other countries in the region could threaten Thailand with their fleets during a conflict, a military source said yesterday. "In case of a clash, they could send their submarines to block our territorial waters, and Thailand would be left helpless. We need submarines to counter such an operation. All the countries around Thailand now have their own to protect their sovereignty. Burma is getting theirs from China soon," the source said. The plan to purchase the dated submarines, which have long been on the Navy's wish list, comes after the Air Force and the Army upgraded their arsenals with new equipment. The Air Force is now flying Gripen jet fighters from Sweden and the Army has Ukrainian BTR-3EI armoured vehicles and Russian MI-17 helicopters at its disposal, the source said. The Navy anticipates heightened security risks from countries in the region, such as Malaysia, Singapore and China, the source said. The Navy needs to spend |Bt1.8 billion to buy the six used |submarines and Bt5 billion for repair and spare parts, the source said, adding the subs would be good for 10 more years after refurbishment. The Type 206A submarines will be acquired from the German navy in a government-to-government deal. They run on diesel engines and electric motors with a crew of 22. They are designed for anti-surface and anti-submarine, mine-laying and reconnaissance missions and can be armed with eight torpedoes and 24 mines. The subs are in the process of decommissioning after serving for more than 30 years. The 35-year-old vessels were due for retirement from 2011-2015, but the German navy brought the dates forward to save on operating costs, according to Jane's defence magazine. According to a senior Navy officer, German navy officials visited Thailand late last year and offered to sell the submarines. He told Jane's that the German submarines had been selected ahead of the Type 209s and Type 039s offered by South Korea and China, respectively. The Navy also held discussions with Swedish shipbuilder Kockums about the availability of Gotland-class submarines, according to the magazine. The Navy's proposal to buy new submarines had been rejected by previous governments due to the expensive prices. Those from leading weapons-manufacturing countries like Germany, Sweden, Russia and France command about Bt30 billion each. MANILA, Philippines - The Philippines plans to acquire patrol ships, aircraft and an air defence radar system so it is better able to guard its territory in and near the disputed Spratly Islands in the South China Sea, the country's military chief said Monday. China, the Philippines and four other countries and territories claim all or parts of the Spratlys, which is believed to have vast oil and gas reserves, teem with rich fishing grounds and straddle one of the world's busiest sea lanes. 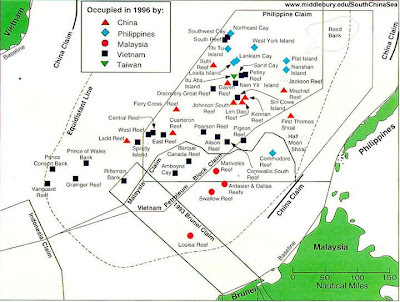 They have long been regarded as a potential flash point for conflict in Asia. Military chief Gen. Eduardo Oban said it remains uncertain when the massive funding for the acquisitions, initially estimated at about $181 million (8 billion pesos), could be made available, but the government has asked the military to submit a list of equipment needed to strengthen territorial defence in Palawan, the southwestern Philippine province nearest the Spratlys. At least $700,000 (31 million pesos) could soon be disbursed for the repair of a worn-out airstrip on Pag-asa, the largest island occupied by Filipino troops in the contested Spratlys, Oban said. 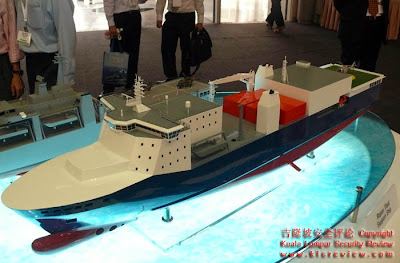 "We're pushing for capability development to safeguard our interests," Oban told reporters. Philippine defence and military officials reportedly called off a trip to Pag-asa using a C-130 cargo plane because of the dangerous condition of the runway. The 120,000-strong military, one of Asia's weakest, has long faced funding shortfalls. In recent years, it has focused on combating decades-long communist and Muslim insurgencies instead of external defence. "We have not given this enough attention," Oban said, adding President Benigno Aquino III's administration has seen the need to now bolster military presence in Palawan near the contested region. Two Chinese patrol boats allegedly harassed a Philippine oil exploration ship into leaving a vast area called the Reed Bank on March 2, prompting a Filipino general to deploy two military aircraft, which arrived at the scene after the Chinese vessels had left, the military said. The Philippines protested, saying the Reed Bank, which is near the Spratlys, lies within Philippine territorial waters. 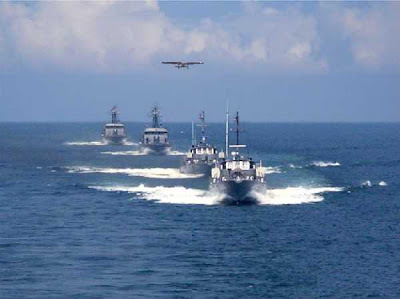 China responded by saying that the Spratlys and adjacent waters belong to it. U.S. Secretary of State Hillary Rodham Clinton told an Association of Southeast Asian Nations regional security forum in Vietnam last year that the peaceful resolution of disputes over the Spratly and Paracel island groups was in the American national interest. Her remarks angered Beijing, which accused Washington of interfering in an Asian regional issue. Washington worries the disputes could hamper access to one of the world's busiest commercial sea lanes. 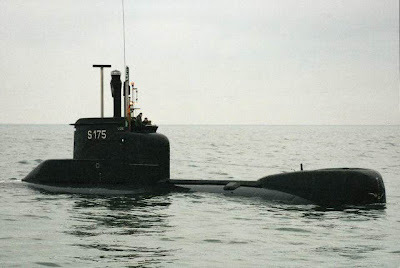 KUALA LUMPUR, (Bernama) -- The cost of maintaining the country's two submarines, KD Tunku Abdul Rahman and KD Tun Abdul Razak, by the Royal Malaysian Navy (RMN) is estimated at RM50 million yearly. 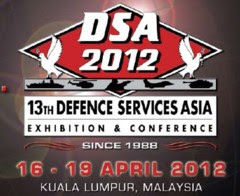 Deputy Defence Minister Datuk Dr Abdul Latiff Ahmad said the cost also covered support services and logistics for the Scorpene submarines and did not include the cost of spare parts. Replying to a question from Datuk Ibrahim Ali (Independent-Pasir Mas) in the Dewan Rakyat Wednesday, he added that the maintenance contract for the two national strategic assets was awarded and executed by a joint-venture company, Boustead DCNS Naval Corporation Sdn Bhd, involving a local company and maker of the Scorpene submarines. Abdul Latiff said it was a six-year contract between the government and the maintenance company. "Each submarine is being maintained at a cost of RM25 million yearly to ensure that the two assets can be used at any time. "If it (maintenance) does not meet the expectations of RMN, we can penalise (the company), in accordance with the agreement signed." 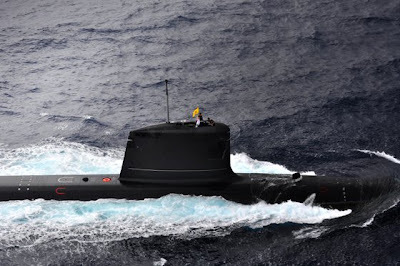 Malaysia had ordered the Scorpene submarines costing RM3.4 billion in 2002 and were jointly built by DCNS of France and Navantia, a submarine-building company from Spain. 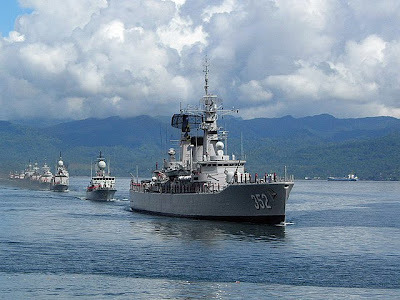 KD Tunku Abdul Rahman arrived in Malaysian waters in September 2009 from France, and KD Tun Razak at the RMN base in Teluk Sepanggar, Sabah in July 2010. To another question from Ibrahim, Abdul Latiff said the technical fault involving KD Tunku Abdul Rahman as reported (by the media) had been overcome, from the submergence test conducted on Feb 22, 2010. It was reported that the mechanical problem was detected on Jan 17, last year during maintenance work carried out at the Teluk Sepanggar base. Abdul Latiff reminded all quarters not to expose the weaknesses or shortcomings of national defence assets to outside elements, like what had often been done by the opposition. "The technical problems faced by the submarines are normal problems which could also be experienced by other submarines in the world. I feel that in national defence and security matters, we should share secrets," he said. Abdul Latiff noted proudly that KD Tunku Rahman made a successful SM 39 missile launch last July at a depth of 55 metres and hit its target 40 km away. "This fired up the spirits of the submarine crew, although the opposition claimed that both submarines were problematic," he said. The deputy minister said that Yang di-Pertuan Agong Tuanku Mizan Zainal Abidin was satisfied after being in the submarine which submerged to the maximum depth in the South China Sea recently. SEOUL, (UPI) -- South Korea is developing an active protection system to defend its K-2 tanks from rockets and missiles, the country's Ministry for Defense said. 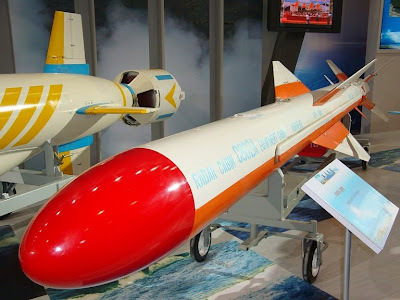 South Korea's Agency for Defense Development recently made public the image of the APS launcher, along with a 70mm system's guided rocket at a defense science and technology exhibition in Hawaii that was organized by the U.S. Pacific Command. South Korea's Defense Acquisition Program Administration said the new system has been under development since 2006 with a budget of $36 million. The project is scheduled for completion this year. The APS features a 3-D detection and tracking radar, a heat-detection and tracking system, a control computer, a launching system and counter rocket, the agency said. 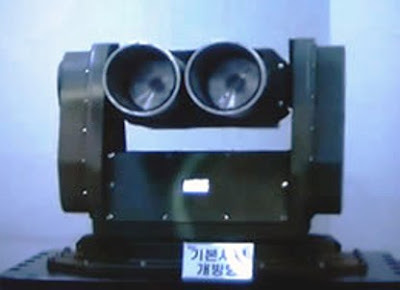 The agency said will only take 0.2 to 0.3 seconds for the system to detect and track anti-tank missiles and rockets fired at a tank and fire counter-rockets at incoming missiles. The system's 70mm rocket has an image infrared and guided control system. JAKARTA--MICOM: Kementerian Pertahanan (Kemhan) akan kembali mengajukan tambahan anggaran sebesar Rp9 triliun dalam Anggaran Pendapatan dan Belanja Negara Perubahan (APBNP) 2011. Kemhan sebelumnya telah meminta tambahan anggaran sebesar Rp 11 triliun. Namun, Kementerian Keuangan baru menyetujui sebanyak Rp 2 triliun. KUALA LUMPUR: The Defence Ministry has sealed a RM700 million deal with the United States to purchase 130,000 new weapons for the armed forces and police. 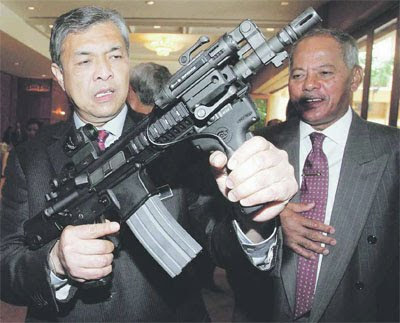 Defence Minister Datuk Seri Dr Ahmad Zahid Hamidi said the government had in 2006 approved the 5.56mm Colt M4 carbine, which can accommodate the M203 grenade launcher, to replace the Austrian-made Steyr AUG assault rifle. SME Ordnance Sdn Bhd (SMEO), which began local production of the Steyr in 1991, had on Nov 19, 2007 undertaken the deal with American firm Colt Defence LLC to initially acquire 14,000 carbines, which were all delivered by June 2008. The company followed it up with a second contract with the same firm on Feb 17 this year for the supply of 116,000 carbines over a seven-year period. "Through the deal, SMEO is set to obtain the licensing rights to manufacture additional Colt carbines locally, through a technology transfer programme once the US government gives its approval," said Zahid. He added that Malaysia would also be given the rights to market the locally produced carbines to Thailand, Brunei, the Phlippines, Indonesia and other countries using them. "This will enable SMEO to become a centre of excellence for the manufacture of small-bore firearms in Asia," he said after chairing a Malaysia Industry Council for Defence, Enforcement and Security (MIDES) at the Royale Chulan Hotel, here yesterday. The MIDES meeting is held regularly towards the establishment of the high-tech Malaysia Defence and Security Technology Park in Sungkai, Perak later this year. The park will be a one-stop centre aimed at spurring the local defence industry via counter-trade, offsets, transfer of technology, counter-purchase and work packages through partnerships with foreign entities. Investors from South Korea, Japan, Europe and the Americas have committed an initial US$1 billion (RM3 billion) and pledged an additional US$5 billion for the park. On another note, Zahid said MIDES had agreed to streamline the purchase and manufacture of defence equipment, including firearms and apparel, for local enforcement agencies to optimise resources for their maintenance. "Just like the car industry, local manufacturers do not compete over the same product but diversify into different capacities of vehicles." Zahid added that local universities, like the Malaysian National Defence University and Universiti Teknologi Mara, would be encouraged to establish defence industry courses to undertake research and development for the commercial market. "Their input can provide value-added services for defence industries which have the potential to grow enormously and provide job opportunities to talented Malaysians. "There is great demand for a skilled workforce here and we need not look for foreign talent if Malaysians can meet the challenges." 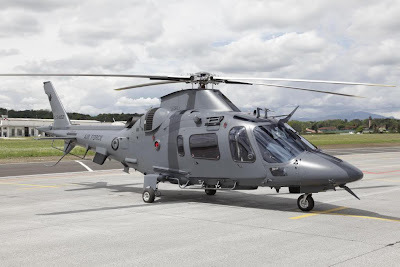 Two Agusta Westland A109s will be the first new operational aircraft to go into service with the air force since it started flying Skyhawk fighter bombers in 1970. The Royal New Zealand Air Force has taken delivery of its first new operational aircraft in more than four decades. Crates containing two Italian-made AgustaWestland A109 helicopters (similar to the pictured helicopter) have been delivered to the air force base at Ohakea - the first of a new $1 billion fleet of aircraft which will start going into service in the next year. Work has started on assembling the first one and it is expected to take to the air soon. The second machine will be kept for spares, and the remaining four A109s are expected to be delivered by September. Five A109s, ordered in 2008 at a cost of $139 million, are scheduled to be in service before the end of the year and the Government announced last year it was going to order another three. Designated as light utility and training helicopters, they will replace two-seater Sioux trainers which first flew in the mid-1960s. But they will also be available for a wide range of other uses and provide backup for eight larger Nato helicopter NH90s now on order from France at a cost of $770m. The NH90s, due to be delivered by early next year, will replace Iroquois helicopters in service since 1966. The first NH90 was test flown in France two years ago but deliveries have been held up by certification delays. Defence Minister Wayne Mapp said the helicopters would be "a quantum leap forward for the air force". New air force chief Air Vice-Marshal Peter Stockwell said the introduction of eight NH90 and five A109s into 3 Squadron was going to be a big challenge. "It will take some time to put the aircraft into operations. It's brand new technology for us - it is a big step up for the air force and pushes us out there, but we've got a lot of work to bring them into service." Rescue winch can lift 270kg or two people. 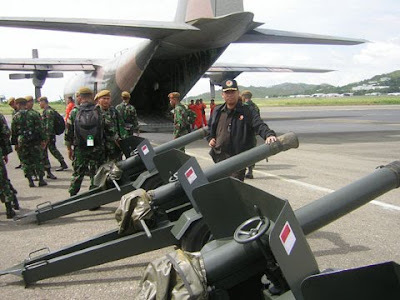 Danpussenarmed Brigjen TNI Ediwan Prabowo, S.IP di dampingi staf membuka PELATIHAN OPERATOR MERIAM 105 MM KH 178 pada tanggal 16 Maret 2011 bertempat di Batalyon Armed 9/KOSTRAD. Kegiatan ini merupakan langkah nyata yang dilaksanakan oleh Pussenarmed, sebagai tindak lanjut dari program rematerialisasi alut sista guna menuju strategi kekuatan pokok minimum (Minimum Essential Force). Pelatihan ini bertujuan untuk membekali para peserta pelatihan dalam mengawaki meriam 105 mm KH 178. Dalam amanatnya Danpussenarmed menyampaikan agar kegiatan penataran dapat dilaksanakan dengan baik dan penuh kedisiplinan (Self Dicipline), sehingga nantinya para peserta pelatihan dapat menjadi kader pelatih di lembaga pendidikan maupun di satuan. JAKARTA (Suara Karya): Hibab empat unit meriam Salute Gun dari Republik Indonesia (RI) kepada militer Papua Nugini semakin terbuka. Ini menyusul persetujuan seluruh fraksi di DPR. Rencananya, persetujuan itu akan ditetapkan pada Sidang Parupurna DPR, Selasa (29/3). "Dalam rapat internal di Komisi I DPR sebelumnya, seluruh fraksi yang ada telah menyetujui hibah tersebut. Selasa, tinggal ketuk palu," ujar Ketua Komisi I DPR Mahfudz Siddiq, di Jakarta, akhir pekan lalu. Anggota Komisi I DPR dari Fraksi Partai Golkar Fayakhun Andriadi mengatakan, sebelum ketuk palu, Komisi I DPR akan melakukan pembahasan internal pada Senin (27/3). Agenda rapat, membahas pandangan fraksi dan dilanjutkan pengambilan keputusan. "Senin akan di-clear dalam rapat internal Komisi I," katanya. Mahfudz menjelaskan, seluruh fraksi Komisi I DPR punya pandangan bahwa hibah itu tak akan memengaruhi kekuatan militer Indonesia. Artinya, ketersediaan meriam Indonesia masih mencukupi. Apalagi, meriam Salute Gun yang akan dihibahkan merupakan seri lama. "Hibah meriam itu, didasari bahwa Indonesia memiliki kelebihan stok," ujarnya. Alasan lain, tutur Mahfudz, hibah empat unit meriam Salute Gun untuk mengurangi biaya perawatan meriam itu. Masyarakat, tutur Mahfudz, tak perlu khawatir karena meriam yang dihibahkan itu bukan termasuk kategori persenjataan perang atau alutsista. "Ini bukan kategori alutsista kok, jadi tidak perlu curiga berlebihan. Kecuali menyangkut persenjataan berat, yang memang kita sendiri masih membutuhkannya," katanya. Sementara itu, mantan anggota Komisi I DPR Muhammad AS Hikam menyatakan, jika memang betul hibah itu ditujukan pada Papua Nugini, harus dibatalkan. Hibab itu tak dapat dibenarkan karena melanggar penjanjian internasional. "Apalagi jika hibah itu untuk kelompok separatis Papua Nugini, itu jelas mesti dibatalkan hibahnya, karena akan mendapat kecaman dunia internasional," katanya. AS Hikam sendiri belum mendapatkan informasi lengkap, kepada siapa hibah itu diberikan Indonesia. Yang pasti, menurut dia, kebijakan pemerintah Indonesia untuk mengibahkan meriam Salute Gun terlalu berlebihan (over acting). Pemerintah dan DPR perlu meninjau ulang, di tengah kondisi militer Indonesia masih banyak membutuhkan alat utama sistem persenjataan (alutsista). Menurut dia, Indonesia masih minus dalam hal persenjataan tersebut. Sehingga sangat ironis, jika alutsista yang dibeli dengan uang rakyat dari impor itu, justru diberikan pada pihak lain. "Sayang kalau peralatan itu masih bagus dan kita masih memerlukannya kenapa mesti disumbangkan pada negara lain. Apalagi jika alutsista tersebut di impor dan dibeli dari uang rakyat," kata Hikam. Pendapat senada disampaikan pengamat militer dan intelijen Suripto, bahwa hibah meriam itu tak perlu direalisasikan. Indonesia masih perlu melengkapi alutsistanya untuk menjaga kedaulatan NKRI. 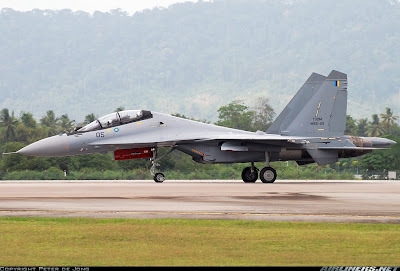 ALOR SETAR: The Royal Malaysian Air Force (RMAF) wants to have the Airborne Warning and Control System (Awacs) at its disposal to ensure the sovereignty of the air space for maximum security. Air Force chief Gen Rodzali Daud said although the ownership of Awacs involved huge expenditure, the air force needed to have full control of air surveillance for tactical and defensive missions. "We had sought the asset in the 7MP (Seventh Malaysia Plan) and is still awaiting it in the 10MP,” he told reporters after presenting flight wings to 43 trainees who attended various courses at the Air Force College, Kepala Batas, here today. He said the RMAF was currently equipped with the ground radar and land command in the country’s air surveillance system. In addition, he said, ownership of assets such as Eurocopter (EC725) from 2013, and strategic transport aircraft, Airbus A400M in 2015 would enhance the integrity of the air force. “However, the ownership will not completely replace old aircraft. Instead they will complement existing aircraft such as the Nuri,” he said. “To replace the Nuri, the RMAF requires 27 E725 aircraft. However, only 12 aircraft will be delivered by 2014,” he added. BRISBANE, Queensland – Boeing [NYSE: BA] on March 11 received a $15.5 million Support Services Contract (SSC) from the Commonwealth of Australia for the Modernised High Frequency Communications System (MHFCS). Under the SSC, Boeing will sustain and upgrade the operational capability of MHFCS, which the company also developed. The system is used to securely exchange information within the Australian Defence Force (ADF) for the command and control of deployed forces. “SSC will provide the Australian Department of Defence with the specialised engineering support it needs to maintain this strategically important communications asset,” said Michael Aylward, head of the Electronic Systems Division for the Commonwealth of Australia’s Defence Material Organisation. Boeing received “project complete” status from the Commonwealth for MHFCS on June 16, 2010. The company delivered the system in two phases, identified as the core system and the final system. 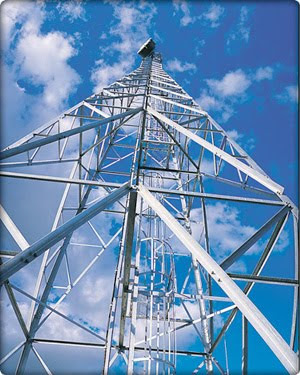 The core system, delivered in 2004, replaced three ageing HF communications systems used by the Australian Army, Royal Australian Navy and Royal Australian Air Force (RAAF), with a single integrated system consisting of four HF radio stations and two purpose-built control centres. The final system, which was introduced into ADF service on Sept. 24, 2009, provided greater levels of automation, performance and capability for ADF users, a back-up network management facility at Canberra in the Australian Capital Territory, and Generic Mobile Upgrade Systems for land-and-sea and air platforms. The army's decision to buy a new batch of about 200 main battle tanks from Ukraine has upset soldiers who prefer South Korean vehicles. "The troops who will have to operate the vehicles do not want the Ukraine-made tanks because they are equipped with an auto-loader that requires the tanks to stop moving when ammunition has been used up and new loading is necessary," said an army source. "This feature could become a problem when fighting in a war. That's why operators prefer tanks with a manual ammunition-loading system." An auto-loader is a mechanical aid that removes the need for personnel to load ammunition into weapons. The army has resolved to replace its old US-made M41A3 tanks with about 200 new ones. Among the top choices were the K1 tank from South Korea and the T92 Oplot tank from Ukraine. The procurement of 200 Ukraine-made tanks will cost about 7 billion baht, said the source. The US tanks have been in commission in four cavalry battalions since 1962, just prior to international involvement in the Vietnam War, said the source. The new tanks will be stationed at the 4th Cavalry Battalion (Royal Guard) in Bangkok, 8th Cavalry Battalion in Nakhon Ratchasima, 9th Cavalry Battalion in Phitsanulok and 16th Cavalry Battalion in Nakhon Si Thammarat. It is believed the army's procurement committee of high-ranking military officers chose the Ukrainian supplier over the South Korean one because of its connections with the supplier, said the source. The supplier is the same one that supplied the controversial 96 Ukrainian-made BTR-3E1 armoured personnel carriers to the Royal Thai Armed Forces at a cost of almost 4 billion baht, the source said. The tank procurement is part of the 10-year package of weapons purchases the government recently approved for the army. 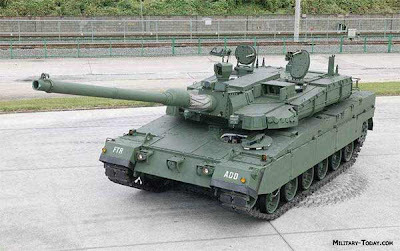 The other choices proposed for consideration by the procurement committee included the Russian-made T-90 tank and the German-made Leopard 2 A4 tank. But the German tank was too expensive, said the source. The Philippine Navy has partnered with the country’s largest telecommunications company to set up an integrated communications system that will link the country’s naval forces. The Philippine Navy is now using Philippine Long Distance Company’s Internet Protocol – Virtual Private Network (IP VPN) backbone for video conferencing, data and voice transmissions of its six naval groups stationed in different parts of the archipelago. IP VPN is delivered using PLDT’s IP network infrastructure to provide a secure network that is more cost-efficient compared to traditional solutions. “We hope to be one Navy with one network, for better service to our country,” said Lieutenant-Commander Marcos Y. Imperio, Commander of the Naval Communications Electronics and Information Systems Centre. He added that with this system, naval forces will be able to transmit real-time information from the Flag Officer in Command down to the Naval Forces Commanders and troops. Navy Acting spokesperson Lt Salvador Sambalilo told FutureGov Asia Pacific Magazine that it is a basic requirement for the Philippine Navy to interconnect all naval forces all over the country. He adds naval troops must be able to communicate across the 7,107 islands of the country. “The problem with the old system is that it only has limited bandwidth and with the increasing traffic problems in communication, we have to look for solution,” he said. “So far, this integrated communications system is effective and has met all our requirements,” Sambalilo adds. ODOLENA VODA, Czech Republic, (UPI) -- The Czech company Aero Vodochody has been contracted by Saab Aeronautics of Sweden to produce pylons for Gripen fighters. The pylons, for Gripens operated by Sweden and the Thai air force, are used for weapon systems attached to aircraft wings. Aero Vodochody said the order for 54 pylons is a continuation of earlier pylon production for Saab and its JAS-39 Gripen. Production will take place from October this year until December 2012. The monetary value of the deal wasn't disclosed. Aero Vodochody is the largest aerospace manufacturer in the Czech Republic and cooperates in aerostructural projects with leading multinational aircraft companies such as Sikorsky Aircraft Corp., Alenia Aeronautica, Sonaca, Latecoere, Spirit Aerosystems and EADS. 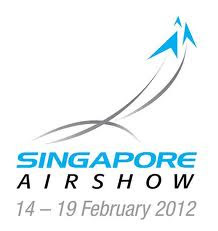 It's been a partner of Saab Aerospace since 2008. 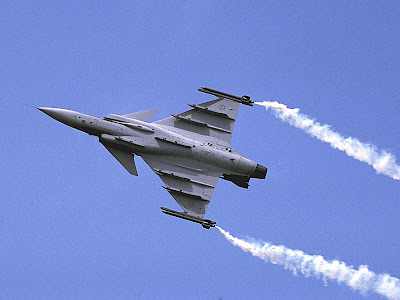 The Thai air force received six Gripen fighters from Saab in February and has six more on order. 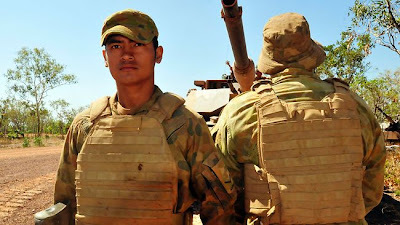 Ballistic plates for combat body armour to protect Australian troops can now be made in Australia thanks to the development of new manufacturing technology. Minister for Defence Science and Personnel Warren Snowdon and Minister for Defence Materiel Jason Clare announced the new technology during a visit to the CSIRO in Melbourne today. “Body armour is one of the most important elements of a soldier’s personal protection. It offers protection from ballistic threats like small-arms fire and fragments from improvised explosive devices,” Mr Snowdon said. · The Victorian Centre for Advanced Materials Manufacturing (VCAMM). Australian Defence Apparel will soon be able to manufacture the ballistic plates at their factory in Bendigo. Mr Clare said that most ballistic plates used by the ADF are currently imported from the United States. “Manufacturing these plates in Australia has big advantages. It will allow for new technology to be prototyped quickly and for product development to occur in Australia,” Mr Clare said. The Defence Materials Technology Centre is a not-for-profit company jointly funded by the Commonwealth Government’s ‘Defence Future Capability Technology Centre’ program, the Victorian Government, and industry and research body participants. The Centre brings together defence industry, universities and government research agencies to develop new materials and manufacturing technologies that will enhance Australia’s defence capability. Jakarta, Kompas - Sejumlah negara tetangga, seperti Papua Niugini, Filipina, dan Brunei, menjajaki kemungkinan pembelian persenjataan serta memperoleh kredit ekspor dari Pemerintah Republik Indonesia. Menteri Pertahanan Purnomo Yusgiantoro yang ditemui di Jakarta, Kamis (24/3), menjelaskan, pihaknya telah mendapatkan banyak permintaan untuk memenuhi kebutuhan persenjataan dari sejumlah negara tetangga dalam Jakarta International Defense Dialogue (JIDD). ”Timor Leste sudah mendapat kredit ekspor 40 juta dollar AS untuk pembelian dua kapal patroli cepat (fast patrol boat/FPB), ternyata sejumlah negara juga mempertanyakan kemungkinan mendapat fasilitas serupa,” ujar Purnomo. FPB yang dibuat PT PAL Surabaya itu memiliki dimensi panjang dari 15 meter, 30 meter, 40 meter, hingga 60 meter. Seusai pertemuan dengan delegasi Papua Niugini, negara tetangga tersebut ingin mengunjungi PT Pindad dan PT Dirgantara Indonesia. Mereka telah mengoperasikan sejumlah pesawat CASA-Nurtanio (CN) buatan Indonesia. 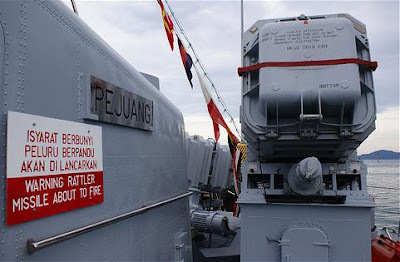 Pemerintah Filipina menyiapkan dana 100 juta dollar AS (sekitar Rp 900 miliar) untuk membeli tiga kapal landing platform dock (LPD) bagi angkatan lautnya. ”Kita sedang merundingkan spesifikasi LPD yang sesuai dengan anggaran yang dimiliki Filipina,” kata Purnomo. Junior officers in the Royal Australian Navy will learn to pilot the next generation of warships, in an upgraded $10m training facility at HMAS Watson, Sydney, which will be officially opened tomorrow. 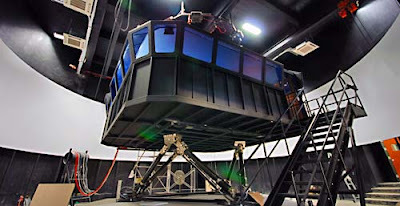 The new high-tech simulator uses computerised virtual-reality software to simulate a working warship's bridge, complete with a 240-degree view of a computer generated 2D scene through the bridge windows. 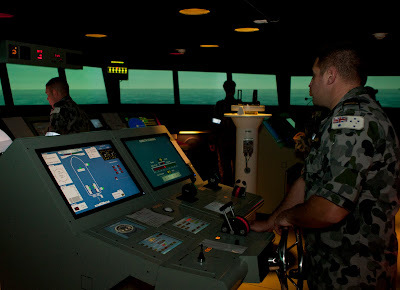 The bridge training faculty, one of the most advanced simulators in the world, will be opened by Commander Australian Fleet Rear Admiral Steve Gilmore. “This facility is at the cutting edge of simulator technology and provides junior Seaman Officers with very realistic training so they will be capable of carrying out the duties of the Officer-of-the-Watch before heading out to sea,” Rear Admiral Gilmore said. “Our Navy is the first in the world to use multi flex touch screens in a warship bridge simulator, which increases functionality without cumbersome hardware,” Rear Admiral Gilmore said. The simulators replicate the full range of maritime operations likely to be experienced while on the bridge of a warship and can be reconfigured to match most classes of ship in the RAN’s current fleet. New functionality includes boat operations, interdiction, and docking and beaching evolutions pertinent to the new Landing Helicopter Dock ships, the first of which is due to enter service in 2014. “An example of a complex scenario is manoeuvering a 3500-tonne warship within 2000 yards of a number of other ships while under air attack, or ships within 50m of each other conducting replenishment-at-sea approaches” Rear Admiral Gilmore said. With two full-mission simulators and four part-task simulators, the facility allows up to six warship bridge teams to train for specific scenarios in a joint exercise environment or, conversely, run six independent scenarios. 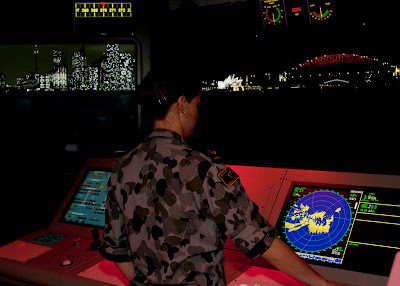 The graphics system can replicate different environmental conditions, from a clear day through to a raging storm, detailed land-and sea-scape features as well as dynamic models of aircraft, tugs and other ships, including the Canberra Class LHDs and Hobart Class AWDs. A dedication ceremony will also be held for the combined navigation and bridge training faculties, which was renamed the Taylor Building, after former Chief of Navy (1994-97), the late Vice Admiral Rod Taylor AO, a specialist navigation and operations officer. 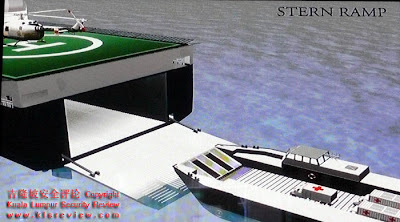 The ship bridge simulation system was delivered to the Navy by the Defence Materiel Organisation on time and under budget. 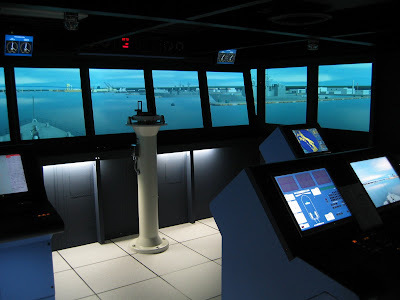 The system was provided by Kongsberg Maritime Simulation & Training, Norway. Sebanyak 100 orang calon awak kapal (cawak) tipe “Waspada Class” Brunei dan tim Basic Maintenance Training (BMT) Komando Armada RI Kawasan Barat (Koarmabar) diberangkatkan dari lapangan terbang Halim Perdana Kusuma menggunakan pesawat Hercules A.1319 milik TNI Angkatan Udara menuju Brunei Darussalam. Sebelum diberangkatkan para cawak tersebut telah medapat pembekalan yang dilaksanakan Komando Latihan Koarmabar (Kolatarmabar) selama tiga minggu dengan materi terkait data teknis, pengoperasian kapal dan perencanaan navigasi penyeberangan serta keselamatan personel dan material. Para cawak tersebut nantinya akan mengawaki dua kapal tipe Eks “Waspada Class” yang masing-masing bernama KRI Salawaku – 642 dengan Komandan Mayor Laut (P) Komaruddin dan KRI Badau – 643 dengan Komandan Mayor Laut (P) Alferd Daniel Matthewd. MANILA, Philippines - Army chief Lt. Gen. Arturo Ortiz on Tuesday announced the purchase of new equipment for soldiers to improve their capabilities. Speaking during the Army's 114th foundation anniversary, Ortiz also said more equipment are due for delivery for front line units under the Armed Forces modernization program. "We vigorously pursued the acquisition of new equipment and weapons under the [Army] Capability Upgrade Program, thereby enhancing our move, shoot, and communicate capabilities," Ortiz said. 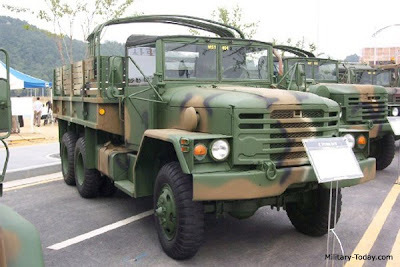 Early this year, frontline Army troops were given 137 brand-new KM 250 trucks from South Korea in addition to 590 units earlier issued. 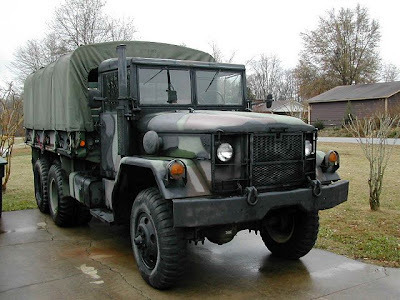 "We also expect 90 units of M35 units of M35 6x6 trucks for delivery from the US this coming June," Ortiz said. He added that earlier this month, the Army delivered to soldiers around 740 40mm grenade launchers. "We expect an additional 2,200 pieces for delivery by the first quarter next year." He said the Army is also set to receive 470 night fighting system units, 6 units of 155 howitzers with ammunition, 100 units of 81mm mortar with ammunition, and 335 units of rocket launchers with ammunition. "Further, we have re-barreled 2,548 M16 rifles and additional 550 are programmed for re-barreling third quarter this year. We also expect next month the delivery of 30,000 pieces of M16 aluminum magazines assembly and another 30,000 additional pieces this year," Ortiz saud. Around 1,300 sets of Harris man-pack, handheld, and base radios are also due for delivery. "This will add to the current inventory of 9,147 Harris radios earlier issued to our operating units. Also programmed for acquisition are 1,476 sets (of) handheld and base radios and 210 sets armor vehicle radios," said Ortiz. He also revealed that 9,786 Kevlar helmets are due to be distributed to the troops in addition to the previous 25,000 pieces earlier issued. He said 2,015 units of body armor were recently delivered to troops. The Army also plans to upgrade the five-storey Fort Bonifacio General Hospital [FBGH] inside the Army headquarters. "Modesty aside, the FBGH is nearly comparable to the reputable private hospitals in Metro Manila," said Ortiz. Ortiz, AFP chief Lt. Gen. Eduardo Oban, and Defense Secretary Voltaire Gazmin attended the Army event. JAKARTA – Kerja sama pembuatan peluru kendali jenis C 705 dengan Republik Rakyat China akan dilakukan secara bertahap melalui transfer teknologi dan produksi bersama sampai nantinya Indonesia bisa mencapai kemandirian. Wakil Menteri Pertahanan Letjen TNI Sjafrie Sjamsoeddin mengatakan, pembelian alat utama sistem senjata (alutsista) dari China, termasuk peluru kendali jenis C 705, akan diikuti dengan tahapan transfer teknologi serta proses produksi bersama.Peluru kendali ini dipakai untuk perlengkapan persenjataan kapal perang TNI Angkatan Laut. “Di samping kita beli, kita juga harus mengantisipasi dengan joint production,” tegas Sjafrie yang ditemui di sela-sela Jakarta International Defence Dialogue (JIDD) di Jakarta kemarin. Dengan tahapan tersebut, ujarnya, dalam kurun waktu tertentu Indonesia akan mampu memasuki posisi kemandirian dalam memproduksi alutsista jenis rudal. “Dengan transfer of technology dan joint production, kita akan bisa memasuki kemandirian. Begitulah tahapannya,”jelasnya. Tahapan yang sama, jelas Sjafrie, juga dilakukan saat akan melakukan produksi panser Anoa oleh PT Pindad. “Seperti pada proses panser Pindad. Dulu kan kita tidak bisa membuat. Makanya, kita beli, didukung oleh tim litbang untuk pengembangannya dan akhirnya kita bisa membangun. Yang sekarang masih diimpor yakni gear box dan mesinnya saja,”paparnya. Sedangkan untuk teknis pelaksanaan kerja sama, menurut Sjafrie, akan dibahas oleh pejabat setingkat direktur jenderal, baik untuk pembelian serta proses transfer teknologi serta produksi bersama. “Untuk pembelian, nantinya akan diurus oleh Badan Sarana Pertahanan dan transfer teknologinya oleh Dirjen Potensi Pertahanan,”jelasnya. Sjafrie melanjutkan, kesepakatan untuk melakukan transfer teknologi dan produksi bersama peralatan militer dengan pabrik persenjataan yang ada di China merupakan salah satu butir dari nota kesepahaman yang telah ditandatangani oleh Kementerian Pertahanan Indonesia dengan Badan Negara Urusan Ilmu Pengetahuan,Teknologi, dan Industri Pertahanan Nasional Republik Rakyat China (SASTIND) di Jakarta pada Selasa (22/3). “SASTIND ini merupakan regulator peralatan-peralatan militer yang mau diekspor keluar. Dia yang mengatakan ya atau tidaknya peralatan diekspor keluar negeri. Dia yang membawahi pabrik-pabrik yang memproduksi peralatan militer,”paparnya. Secara terpisah, peneliti alutsista PT Pindad Bandung, Wien Intarto, mengatakan, pembuatan peluru kendali memerlukan kerja sama antarindustri pertahanan. “Jadi, tidak bisa dilakukan oleh Pindad saja atau PT DI saja,”paparnya. Dia menambahkan, PT Pindad bisa disiapkan untuk memproduksi badan rudal, peluncur, mekanik, serta war head, sedangkan pengendali tetap harus diserahkan pada industri pertahanan lainnya. Defence and security company Saab has received an order for airborne Electronic Warfare self-protection system of approximately MEURO 28. ”We are proud of being selected for this major deal for self-protection systems. The contract strengthens our position on the world market and shows that our complete Electronic Warfare self-protection systems are highly competitive”, says Micael Johansson, Senior Vice President and Head of Saab’s business area Electronic Defence Systems. Development and production of the self-protection systems (named IDAS, Integrated Defensive Aids Suite family) takes place at Saab in Centurion, South Africa, and in Järfälla, Sweden. Deliveries will be made 2012-2016. Saab’s family of Integrated Defensive Aids Suite (IDAS) are ideally suited to enhance the survivability of aircraft, in sophisticated, diverse and dense threat environments, by providing a multi-sensor warning system i.e. radar, laser and missile approach (passive UV); integrated with the lightweight pyrotechnic dispensing system (BOP/L). The system today is protecting the following aircraft and helicopters: Su-30MKM, C-130B, H and L100, Saab 2000, Eurocopter Puma & Super Puma, NH Industries NH90, Agusta-Westland A109, A129, Agusta-Westland Super Lynx 300, Boeing CH-47 Chinook, Eurocopter Cougar, Denel Rooivalk, Denel Oryx and is on delivery for Hindustan Aeronautics Limited Advanced Light Helicopter Dhruv. The industry’s nature is such that depending on circumstances concerning the product and customer, further information regarding the order will not be announced. The Thai government has agreed to buy two second-hand Type 206A diesel electric submarines from the German Navy, official sources have confirmed to Jane's. 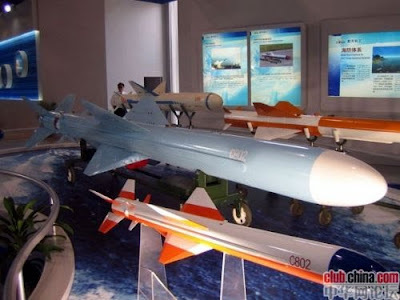 Payment for the purchase - which is understood to be about USD220 million - has not yet been secured, although funds are expected to be sourced from the defence budget for Fiscal Year 2012 (FY12), which commences in October. 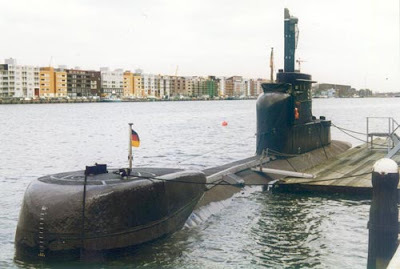 The German Navy decommissioned four Type 206A submarines in mid-2010. The boats are 35 years old and were originally due for decommissioning between 2011 and 2015. As part of a defence review carried out by Berlin, the German Navy brought the boats' retirement date forward to save operational costs. A senior officer from the Royal Thai Navy (RTN) told Jane's on 21 March that officials from the German Navy visited the country in late 2010 and offered the submarines to Thailand. He added that German submarines had been selected ahead of those offered by South Korea and China, who had made available Type 209s and Type 039s respectively. The RTN also held discussions with Swedish shipbuilder Kockums about the availability of Gotland-class submarines. Singapore - ST Marine, the marine arm of ST Engineering, has received a notice of termination dated 17 March 2011 (Notice) from Louis Dreyfus Armateurs (LDA) in respect of the shipbuilding contract for the Roll-on/Roll-off Passenger ferry (Ropax) contracted in July 2007 for a contract price (inclusive of variable options) of approximately S$179m. In the Notice, LDA have alleged that there is a delay in the delivery of the Ropax vessel. 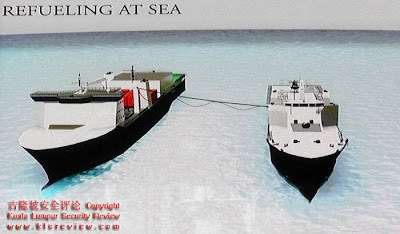 They further allege that even if the vessel is tendered for delivery there will be deficiency in the deadweight capacity of the Ropax vessel. The Notice further states that in the event LDA is not entitled to terminate the contract in accordance with the Notice, LDA is fully prepared to continue to fulfill its obligations under the contract but however that it will become entitled in due course to terminate the contract by reason of deficiency in the deadweight capacity. ST Marine has referred the matter to its legal advisers. In the event the Notice is valid, ST Marine is required to refund the milestone payments made to ST Marine amounting approximately to S$129m plus interest. LDA has also reserved its right to pursue claims in damages. If liable for damages, ST Marine's position is that under the terms of the contract its total liability for damages is capped at 10% of the contract price. In the circumstances, the termination of the contract is not expected to have any material impact on the consolidated net tangible assets per share and earnings per share of ST Engineering for the current financial year. AUSTRALIA is delivering a special, remotely operated water cannon to Japan to help cool the damaged Fukushima nuclear reactor. 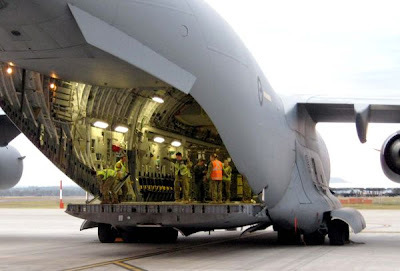 Defence Minister Stephen Smith said two RAAF C-17 transport aircraft had flown from RAAF Pearce, in Western Australia, carrying the equipment after requests from Japan and the US. One aircraft had landed at Yokota Air Base this morning, while the second was expected to arrive later in the day. Mr Smith said the C-17s were transporting the remotely operated water cannon system, supplied by the Bechtel Corporation, at the request of the US. The system is a series of pumps and trailers that can be remotely manoeuvred into location, he said. "The two C-17s are required due to the size of the water cannon system," he said. Mr Smith said the two C-17s were in addition to a RAAF C-17 already in Japan. One of the C-17s will bring back equipment used in Japan by Australia's Urban Search and Rescue Team. "Last night, I spoke to Japanese Defence Minister Kitazawa to underline Australia's continuing commitment to the humanitarian assistance and disaster relief response in Japan, including through the provision of RAAF C-17s," he said. "The Chief of Defence Force and I will continue to review Australia's Operation Pacific Assist commitment in close consultation with our Japanese and US partners." Jakarta (ANTARA News) - Pemerintah Indonesia dan Republik Rakyat China sepakat untuk meningkatkan kerja sama pertahanan termasuk produksi bersama peluru kendali. Juru bicara Kementerian Pertahanan Brigjen TNI I Wayan Midhio di Jakarta Selasa mengatakan, penjajakan produksi bersama rudal itu telah dilakukan kedua pihak. Ditemui usai menghadiri penandatangan nota kesepahaman kerja sama teknis pertahanan RI-China ia mengatakan, Indonesia telah menggunakan rudal C-802 buatan Negeri Panda itu untuk mempersenjatai beberapa kapal perangnya. "Kedepan kita sepakat untuk memproduksi bersama rudal tersebut, yakni dengan menggandeng PT Pindad," ujarnya. Nota kesepahaman itu mencakup lima poin yakni pengadaan alat utama sistem persenjataan tertentu yang disepakati kedua pihak dalam kerangka "G to G". Kedua, alih tekonologi peralatan militer tertentu yang antara lain mencakup perakitan, pengujian, pemeliharaan, modifikasi, up grade dan pelatihan.